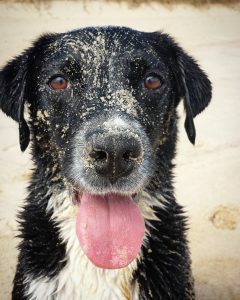 Beach Cottage is a perfect holiday cottage for dogs. Situated so close to the beach, there are endless opportunities for walking and playing in the waves; many guests tell us that at the end of their holiday their dog doesn’t want to leave. I know that it’s a big reason people come back! Check out our reviews here. The Cottage: Our wooden floors and floor tiles mean that you can relax, whilst your dog makes him/herself at home in the Cottage. Please bring your own dog bed, bowls and towel. There’s space in the kitchen for your dog’s bed; and to prevent them from going on the furniture at night, you can keep them in the kitchen by closing the door. We ask that you do not allow your dog upstairs, as this would necessitate a deep clean to ensure our guests who have dog allergies are not affected. The stairgate at top of the stairs is a useful way to keep your them downstairs. If it is essential to sleep beside your dog, please use ‘Beach Hut’, our Annex building, which is tiled (and has underfloor heating). The Garden: Our enclosed seaside garden is made up of paving, shingle, and The Lookout. Because the garden is shingle, we ask you to please toilet your dog on the beach or on the front drive. Dog poo carries a risk of passing on toxocariasis, which is particularly dangerous to young children between 2 and 7 years. Please keep our garden free of dog poo, so that we can keep the children that visit us safe. The Lookout is a perfect place for dogs to crash out in front of the woodburner, after being on the beach. 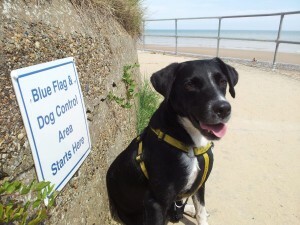 The Beach: Dogs are allowed off the lead, on any part of the beach between 1st October and 30th April. 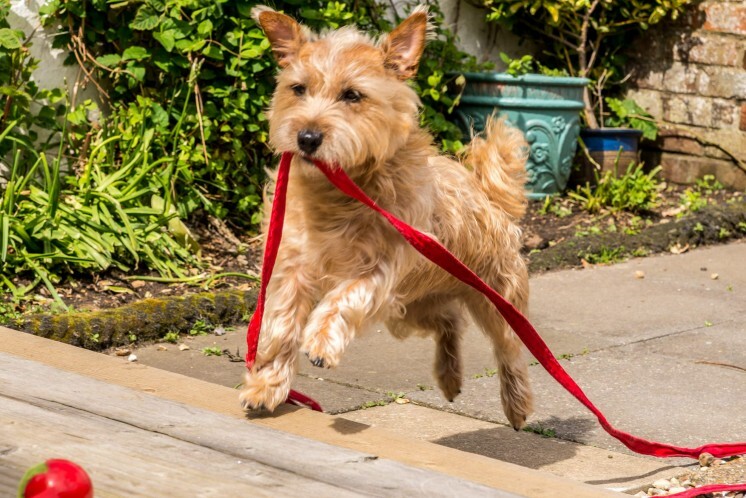 Between 1st May and 30th September, keep them on a lead on the promenade and walk in either direction for a few minutes, and you’ll find miles and miles of sandy beach for off-lead fun. Dog waste bins can be found on the main path down to the beach; left, at the end of the promenade; and right, just beside the Lifeboat station. Check North Norfolk District Council’s dog leaflet for a map; and for information about other dog friendly beaches closeby. The Village: Mundesley Village is very dog friendly and you will often find water bowls next to shops and cafes. Most places allow dogs, if they are on a lead and not barking. See Places to Eat for pubs and cafes that welcome dogs. There is a VET’s practice in North Walsham (20 mins away) and details can be found in the House file in the Cottage. On leaving Beach Cottage: We allow dogs to stay at no cost to the owner because we have agreed with you that you will clean up after your pet, to the extent that the housekeeper arrives never knowing that a dog had been there.